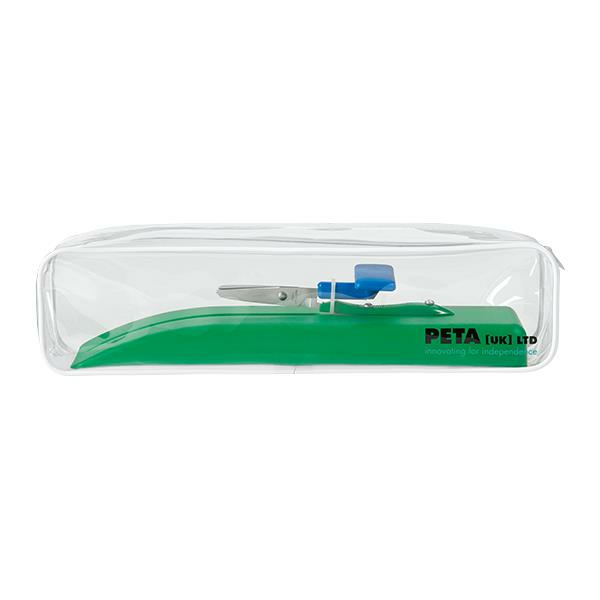 Peta Mounted Table Top Scissor On A Plastic Base is designed for use by those with very limited strength and control, or for use one-handed. 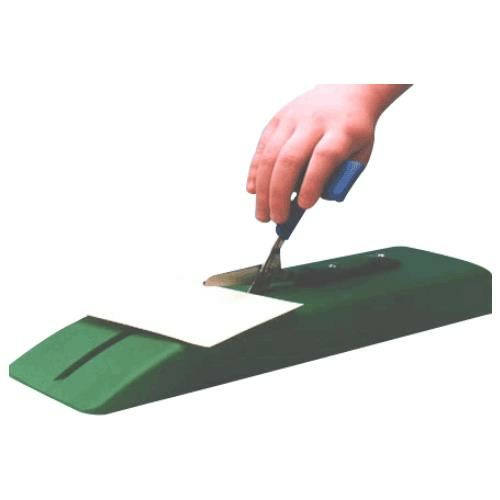 Simply push the paper or card along the base until in position, then push down the "T" shaped handle to cut. 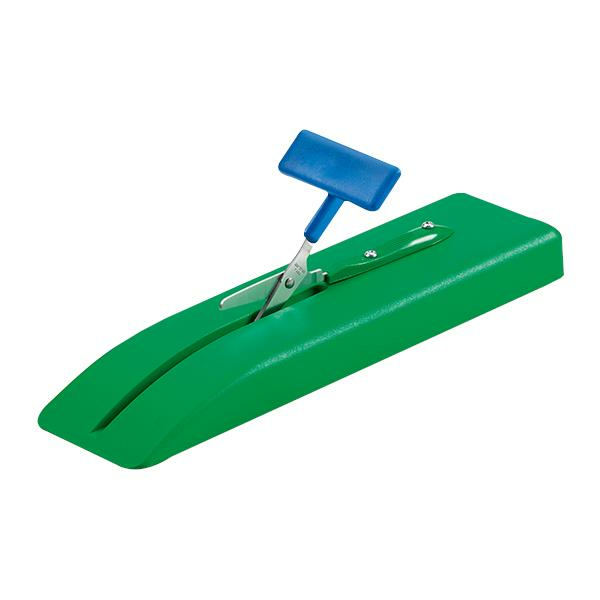 The hidden spring will automatically reopen the blades in readiness for the next cut. 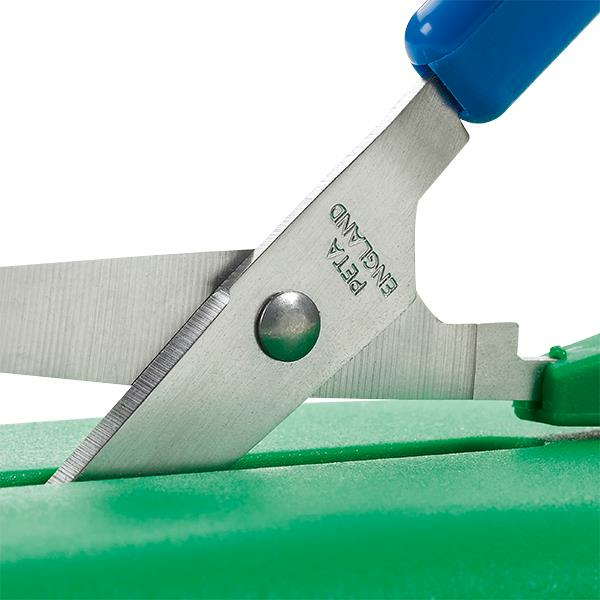 It is often advantageous to use the more dextrous hand to manipulate the paper whilst the more affected hand works the scissors.